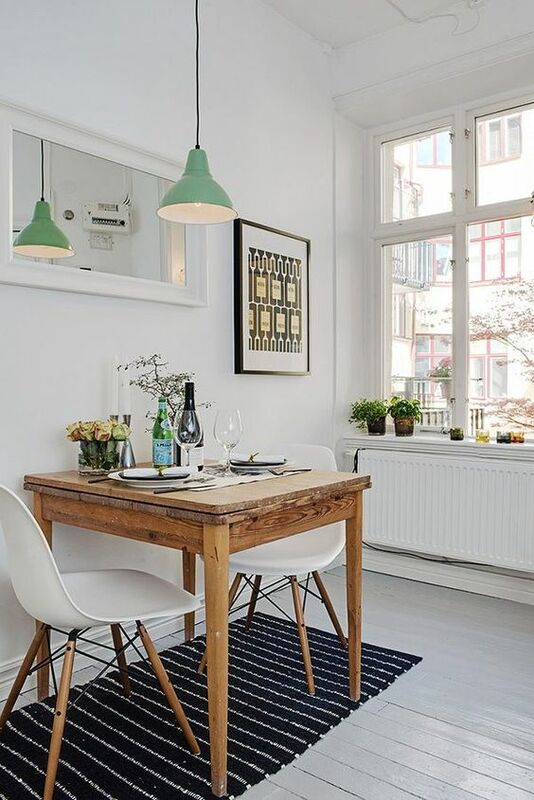 Scandinavian home decor is simple and functional. It combines classical designs with modernity. The designs open the room and provide a subtle separation between areas. It is known for its simple use of contrasting colors. These colors are often black, white, and brown. It also uses wooden flooring with rugs for extra coziness. Scandinavian style brings nature into a modern setting. Large windows bring natural lighting and warmth. Dark and light woods contrast with plants and decorations. This evokes a cabin aesthetic without clutter. It also creates an attractive and welcoming room in any house. Functionality is another important element of Scandinavian design. Each room has a distinct purpose in the house. It is also never overbearing. Kitchens are simple to allow effortless cooking. Dining rooms provide ample room and freedom among guests. Living rooms become cozier and warmer. Bedrooms become a tranquil area perfect for a night’s rest. There are many great examples of Scandinavian design to choose from. Each design is unique yet easy to recreate. 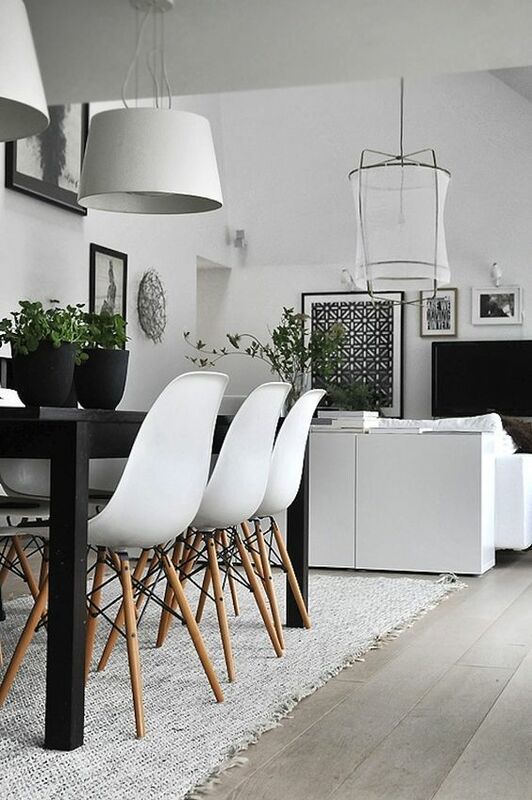 These top 15 beautiful Scandinavian home design ideas are guaranteed to inspire anyone! This modern bathroom is both minimal and functional. It has a floating sink, open shower, and angled window for natural sunlight. The floor is purely Scandinavian with flower motifs and a contrasting design. 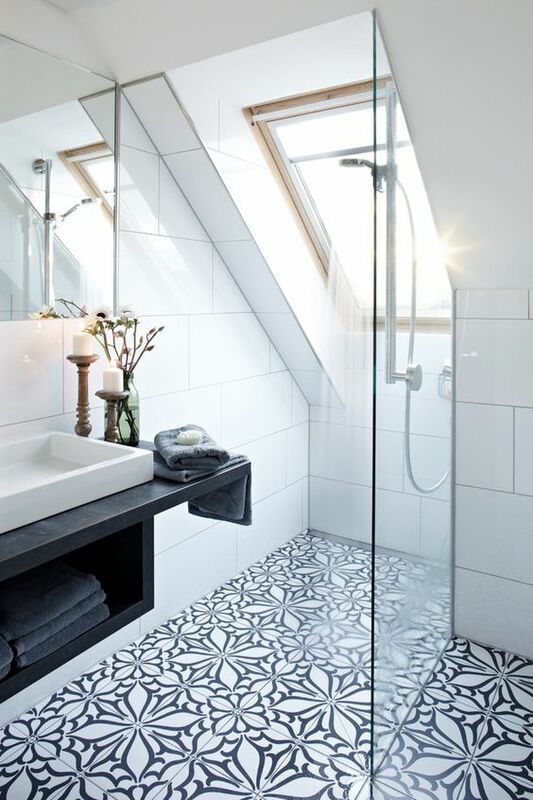 The shower flows naturally to the sink in a visually pleasing manner. This design is both spacious and sleek. The layout also helps to reduce clutter for peace and relaxation. 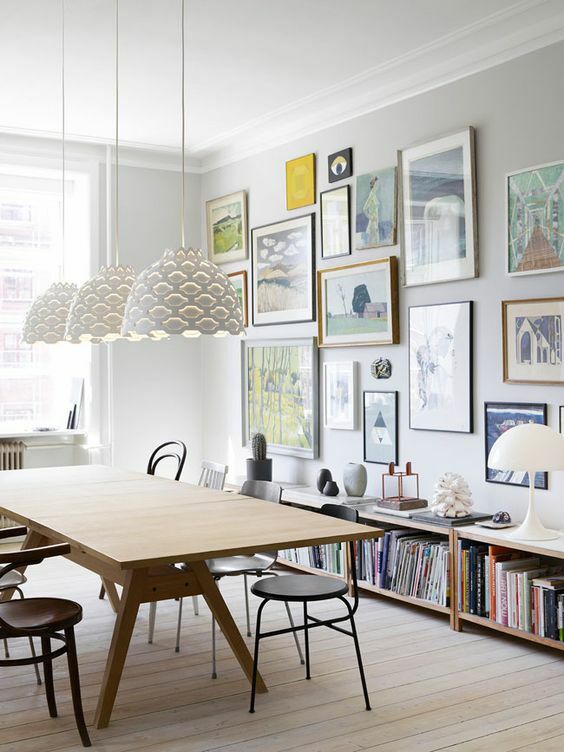 This beautiful Scandinavian interior design brings focus to the artwork. The small bookshelf is useful and not too large. 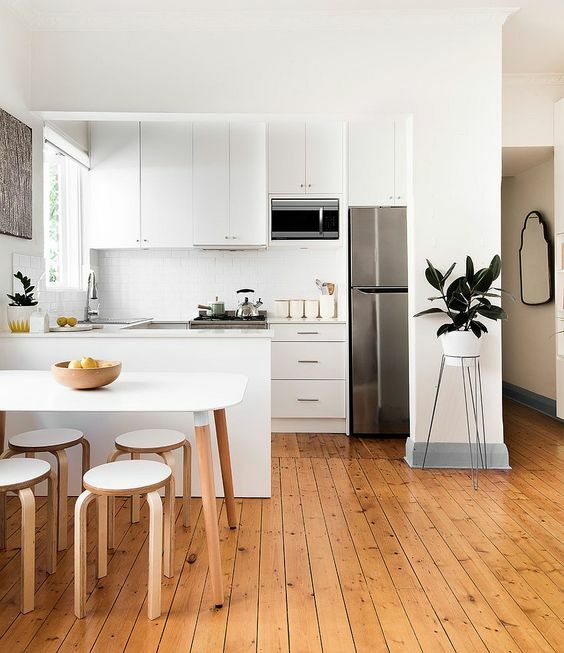 The white walls contrast nicely with the wooden floorboards. The chandeliers bring elegance into the 21st century. This room is a great example of Scandinavian design. It combines Old World styles with the present to create a modern living space. This cozy living room features an eggshell sofa, pillows and blankets with nature motifs, plus tan wooden floor boards. These stress the cabin-like aesthetics of the room. The large windows allow natural sunlight to fill the room. The wooden divan is a nice touch to the modern coffee table. This design is open and inviting. It is perfectly intimate for guests on a cold winter night or for reading at any time of day. The greatest benefit of this design is its livability. It makes the room a delight to enter, and it also helps to make it comfortable for hours on end. This loft shows the artistic side of Scandinavian home decor. 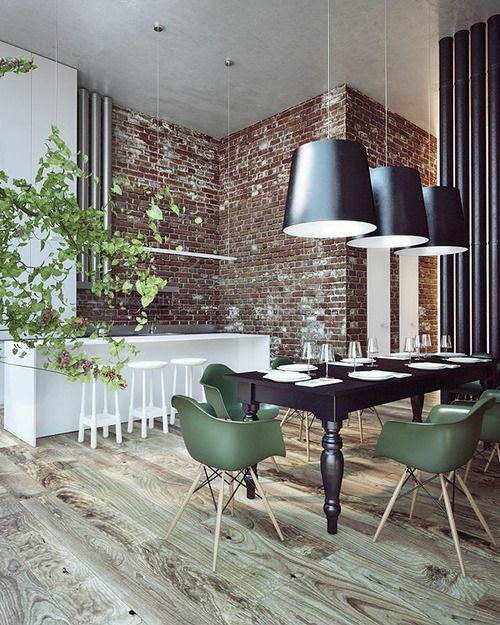 It beautifully combines dark flooring with a freestanding brick wall. The simplicity of the room inspires harmony. The open floor plan increases space even in tinier flats and houses. The wall gives privacy between the living room and dining room. A lack of doors makes everything larger than life. 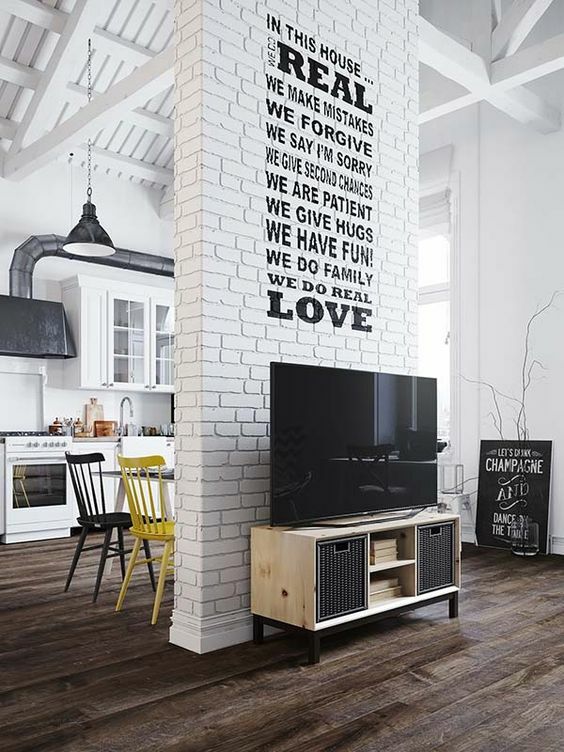 The brightness of the room is enhanced by simple black text and accents. This is an ideal design for smaller spaces where every inch matters. It expands the space visually while also allowing more people to comfortably enjoy the room. The snowy walls contrast with the wooden table and artful rug. 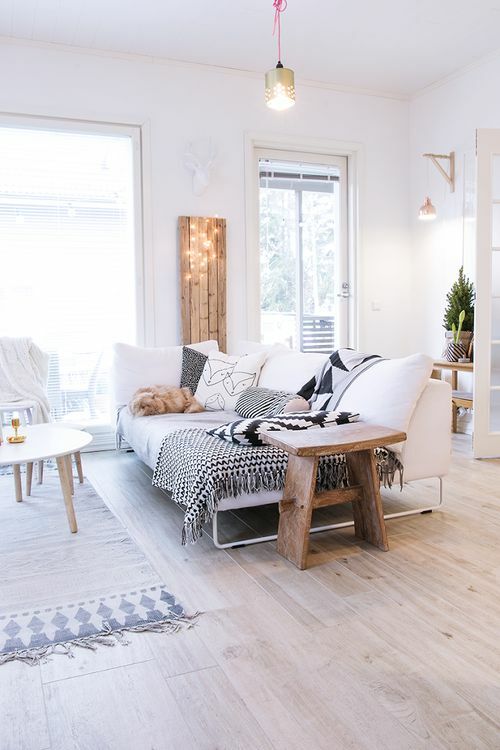 White wooden floors open up the room to make it extra cozy. The small coffee table is large enough for two while not overpowering the design. The size of the furniture maximizes the space and makes it welcoming for all. The window focuses sunlight onto the main area of the room in a beautiful way. Following recent Scandinavian trends, this interior design is both woodsy and modern. This bedroom is peaceful after a long day’s work. It has a black and white bed, white wooden walls, and trendy artwork. The design reduces clutter while the ceiling light brings a youthful touch. The table at the foot of the bed is perfect for holding blankets and necessities. 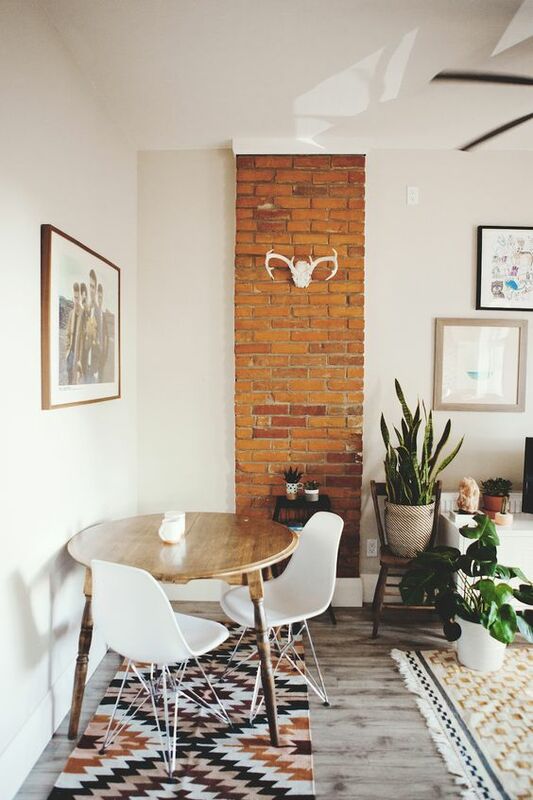 The photos on the wall add a nice creative touch. 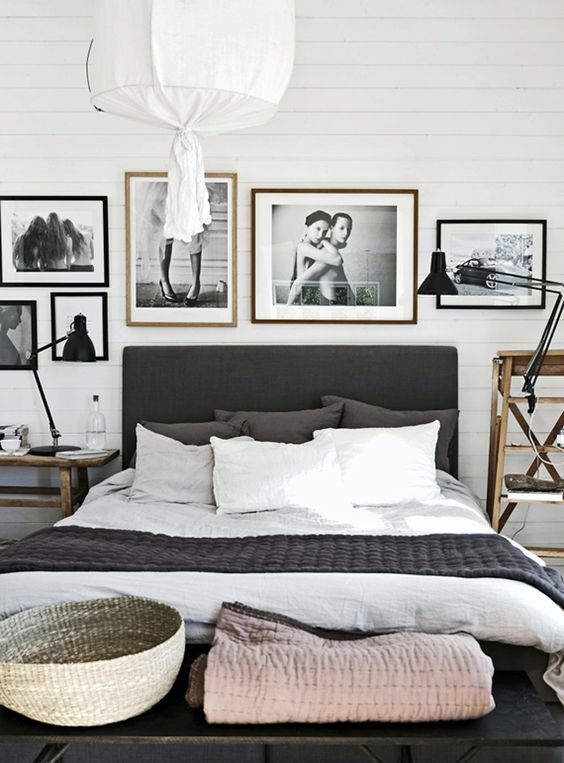 This bedroom is inviting and comforting which is what Scandinavian design is all about! This large kitchen has a bar in the center for intimacy. Low-level cupboards wrap around the walls to maximize space. The wire LED lights strung across the room provide a festive atmosphere year-round. The light and minimalist decor is punctuated by black countertops and stainless steel. This kitchen is practical, comfortable, and has the charm of a cabin. Even with its charm, it remains practical and useful for guests and homeowners. Large kitchens are often too cluttered and confusing for their own good. However, this Scandinavian design brings purpose and focus to the kitchen in a unique and stylish way! This dining room combines rugged Scandinavian nature with modern designs. The flooring works well against the unfinished brick wall. The furnished dining table is luxurious yet modern and inviting. The dark green chairs stress the natural feel of the room. The nearby plants bring life into the area. This dining room is lively yet subtle. It has an earthiness that is essential to Scandinavian interior design. 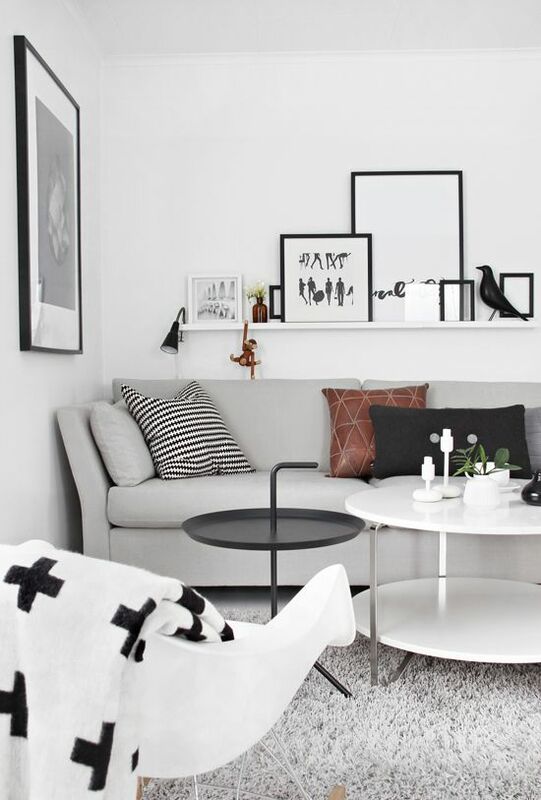 Black and white contrast in this Scandinavian living room. The tan flooring warms the room nicely against the white walls. The walls and lamps mesh with the black table. A knitted carpet accentuates the room in a comforting way. The walls have modern artwork for an uplifting touch. Lampshades provide ample lighting and artistry. This is a living room to show off and happily come home to. Its design brings tranquility in a natural and harmonious way. 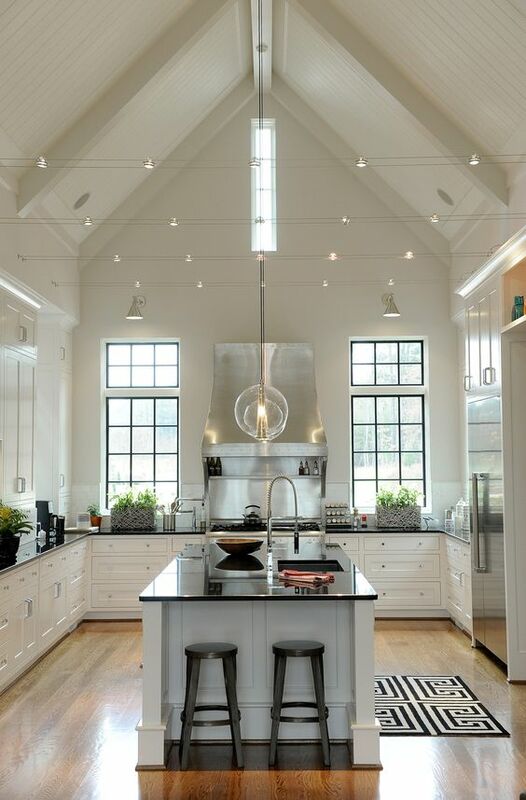 This kitchen design is guaranteed to delight guests and make cooking exciting again! It minimizes space to evoke coziness and warmth with the limited room available. 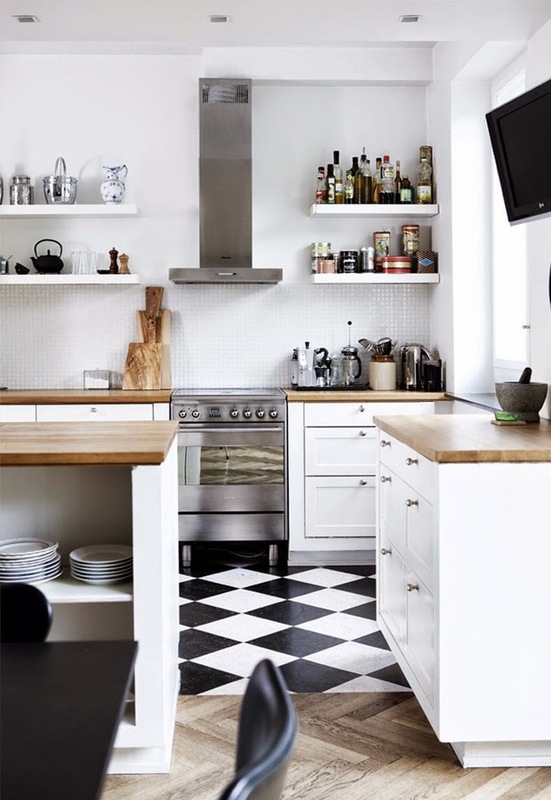 The checkered flooring is classically European. The tan wooden countertops work simply with the white drawers. The white tiled walls bring focus to the spices and oils on the freestanding shelves. This design makes great functional use of the space provided. It is sure to inspire chef masters and novices alike! This opened Scandinavian living room makes a large space comfortable and intimate. Two chairs face the large window for an incredible view. The center couch rests on the soft carpeting which is welcoming and stylish. The white furniture is noticeable with the contrasting floors. The cubic shelves are simple yet useful while still being beautiful. This room is light, open, and has a sense of freedom. It provides what is necessary to make comfort the focus of the room. This ingenious Scandinavian design makes great use of the limited space. The colors contrast to enlarge the otherwise small area. The brick section of the wall helps to separate the table from the rest of the room. The matching folk carpeting centers the coffee table beautifully. The wooden table blends with the natural aesthetic. The white modern chairs remain inviting. The contrasts help to open the room making it inviting and welcoming in any weather! The beautiful wooden flooring is the centerpiece of this room. The white furnishing brings joy and openness to any guests. The midlevel countertop separates the kitchen from the dining table without closing it off. This design utilizes a smaller space while still remaining functional. This allows the dining area to flourish with an enhanced space for enjoying company. This living room defines comfort and warmth. The white designs open the area despite its size. The central coffee tables brings a wonderful contrast to the room. The furniture is close together to inspire conversation and intimacy. The grey carpet is aesthetically pleasing and welcoming. The room’s coziness is perfect for guests or unwinding after a long day. 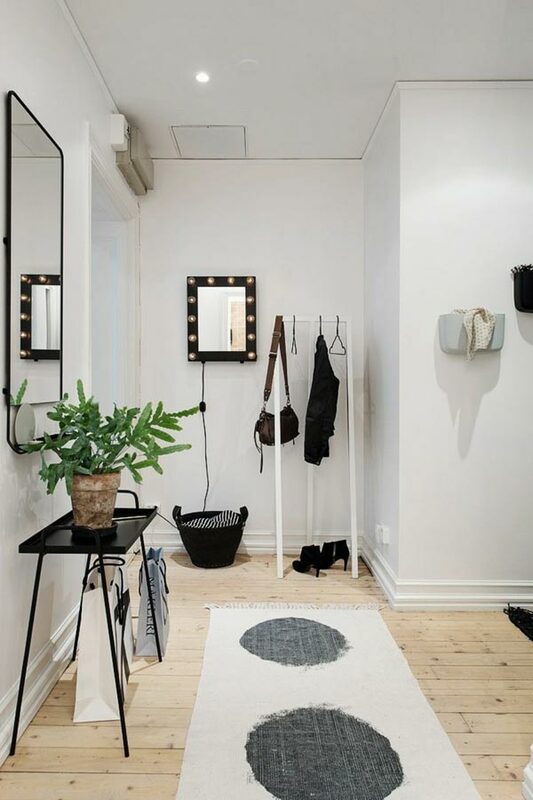 It follows the trend of Scandinavian design where simplicity reigns supreme. This walkway is a fantastic example of Scandinavian design. The open coat hanger maximizes the space. 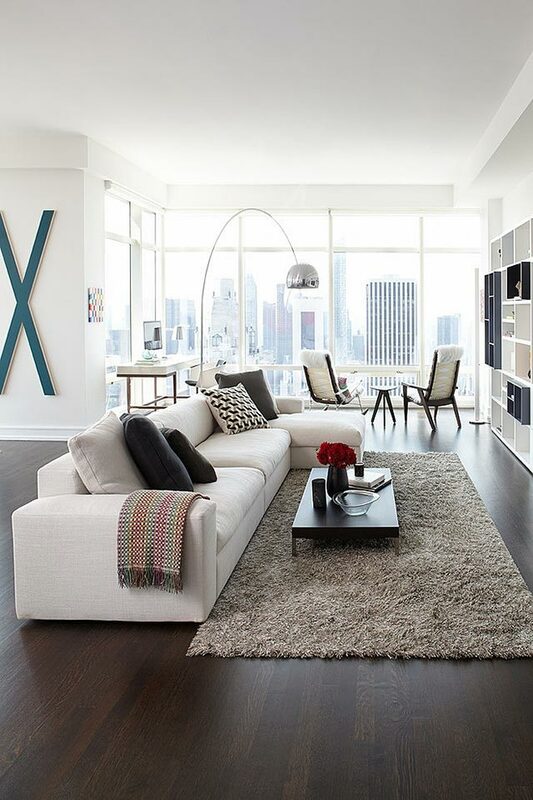 The black and white carpet brings artfulness to the surroundings. The contrasting colors make everything inviting yet functional. This design follows the main tenants of Scandinavian interior decor. It uses two simple colors, minimalism, and a sense of rugged nature that brings peace to the room. It creates unity when entering the home, and it also simplifies everything by having only what is necessary.